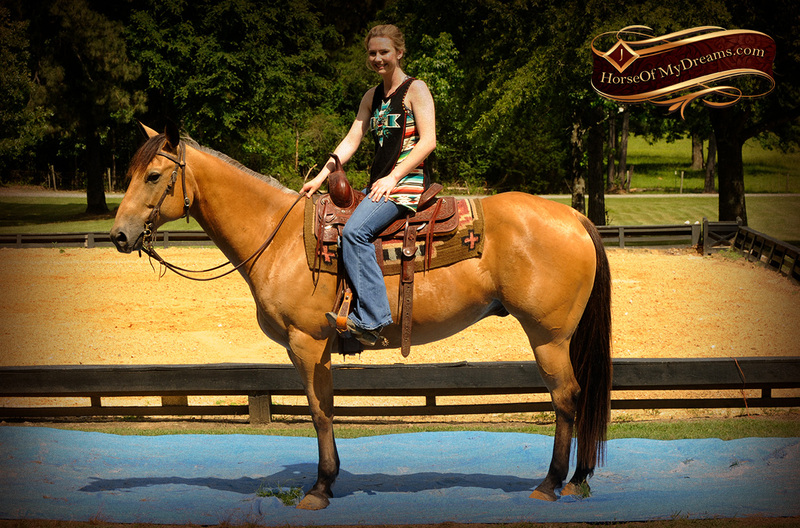 Bert has a laid back, loving disposition! 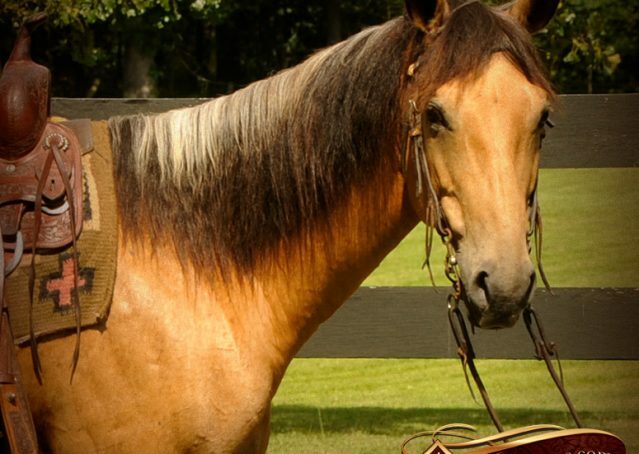 We’ve found absolutely nothing that bothers this guy. 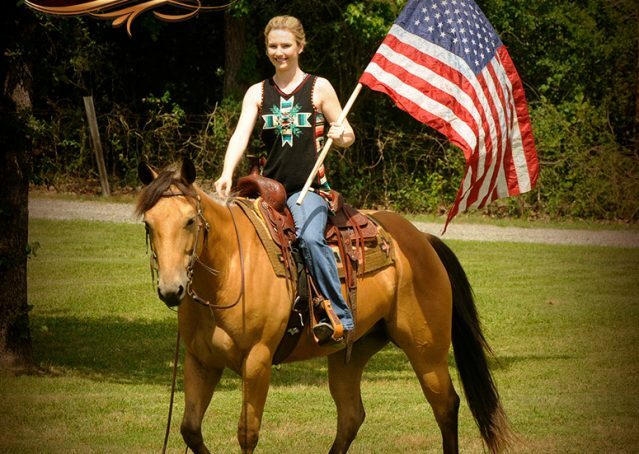 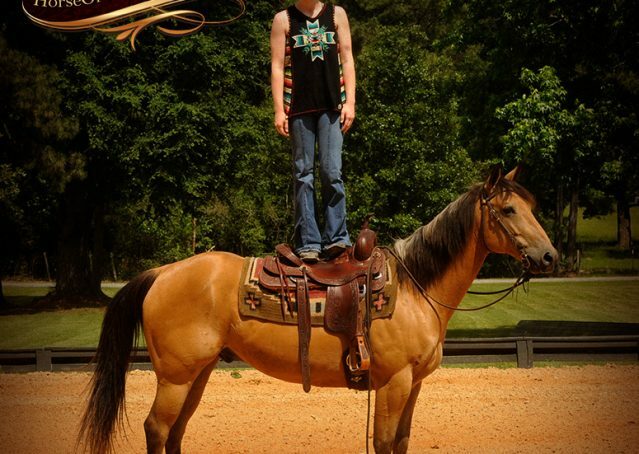 He’s been trained in mounted shooting, so loud noises don’t phase him one bit. 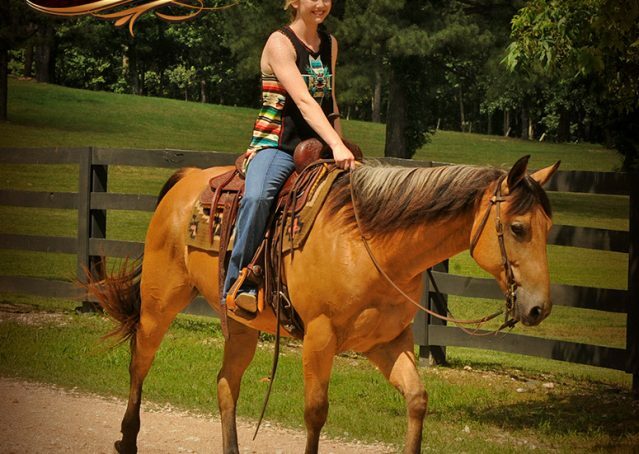 He’s so much fun to ride, and he is really smooth. At 14.3 he’s the perfect size for the whole family. 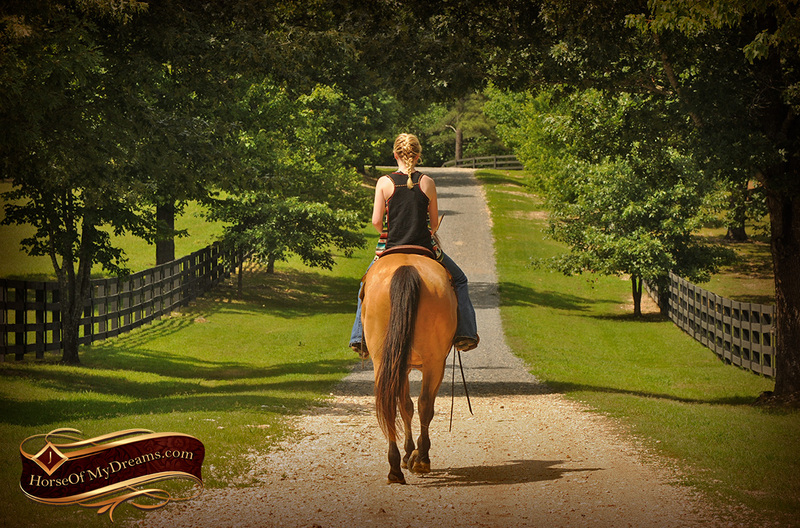 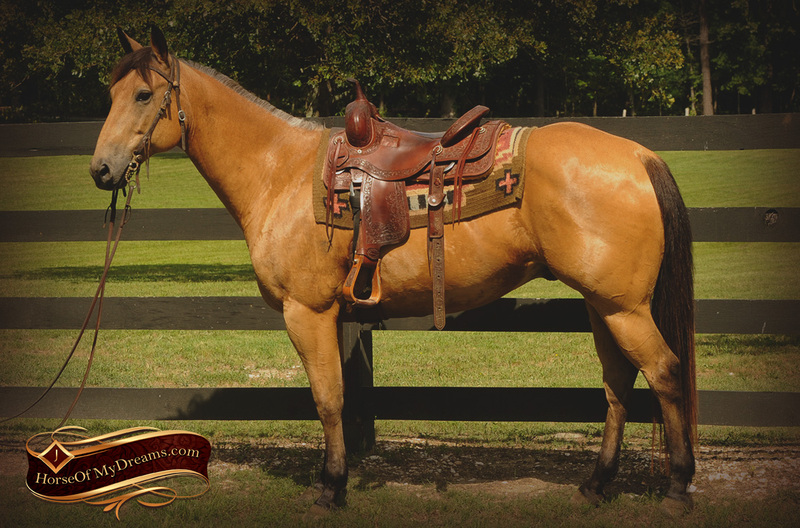 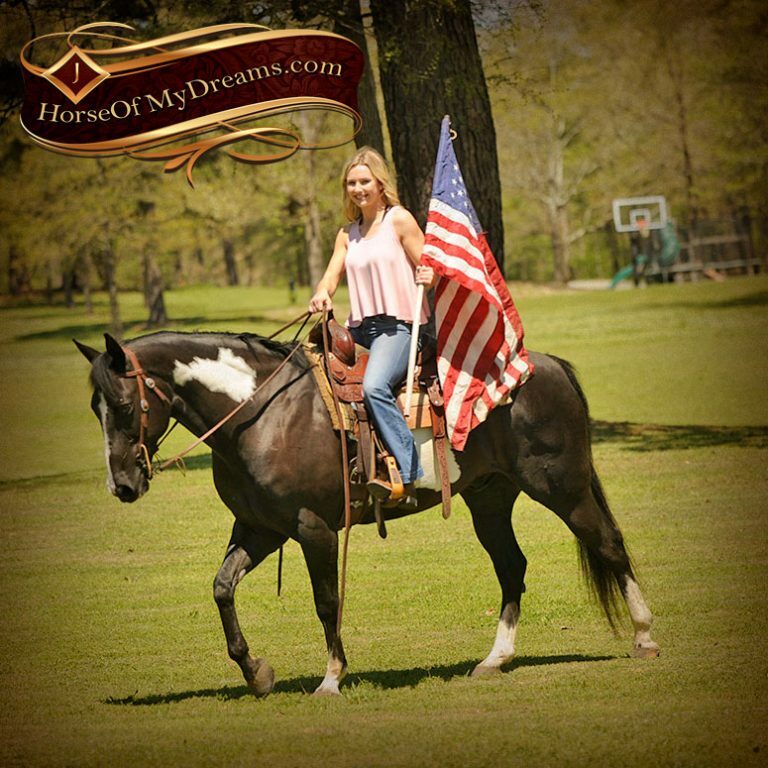 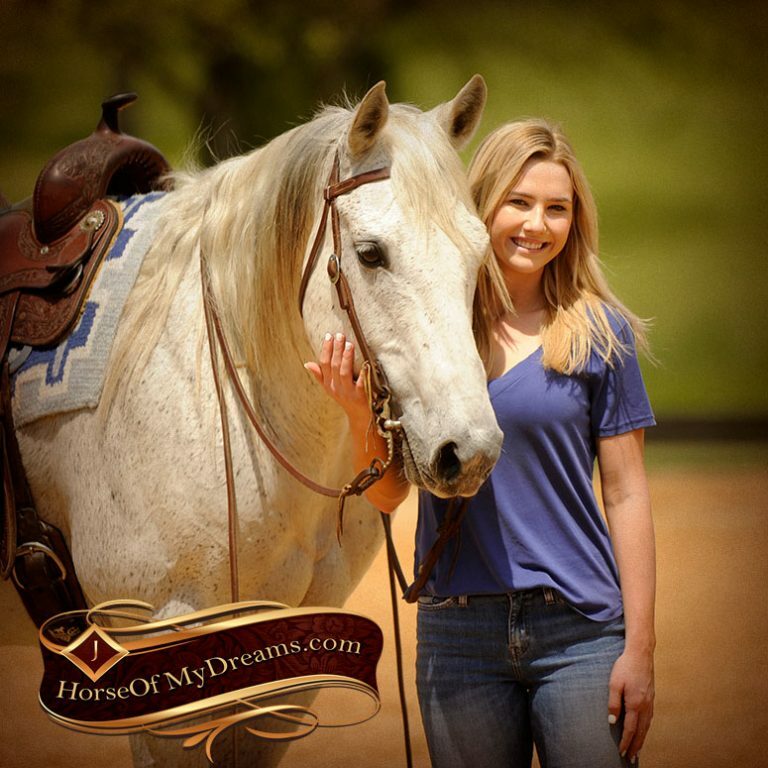 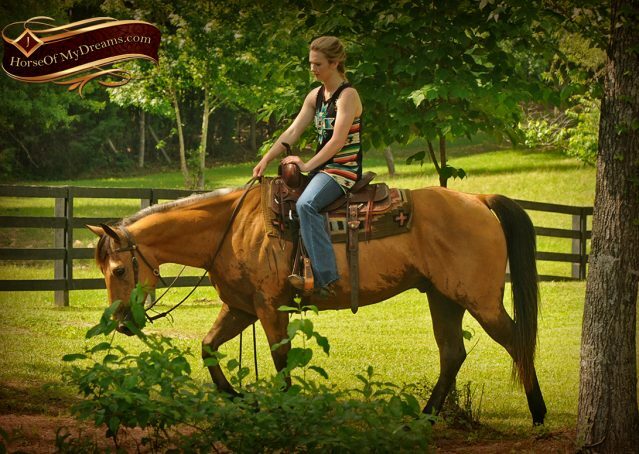 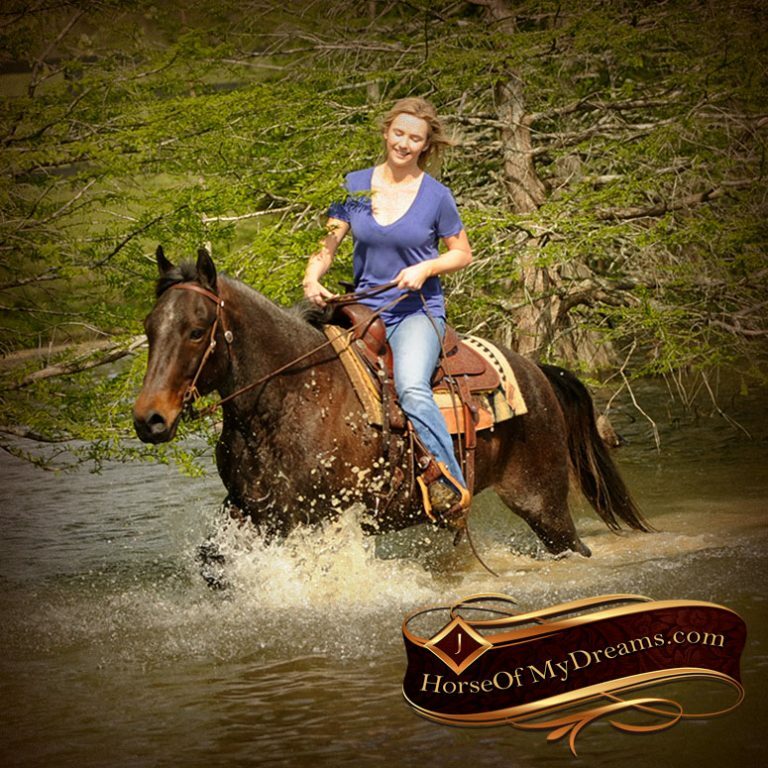 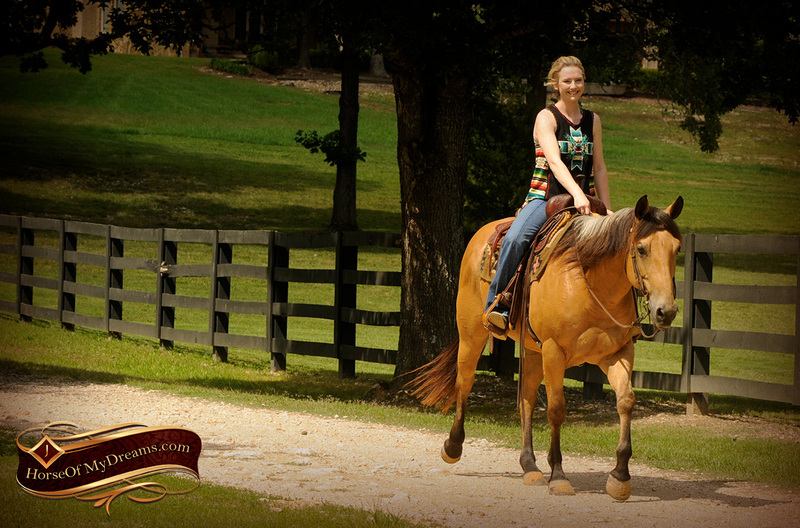 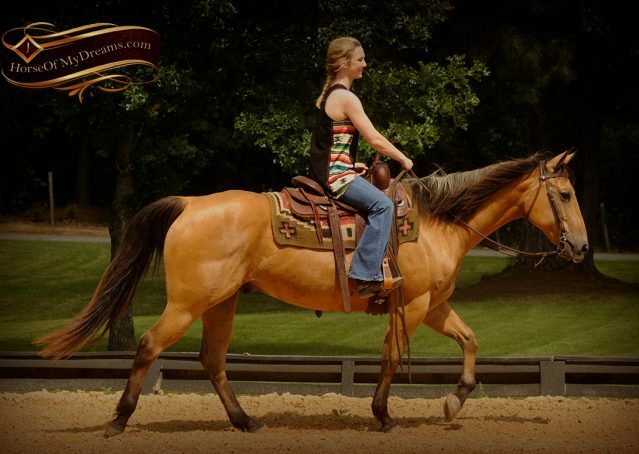 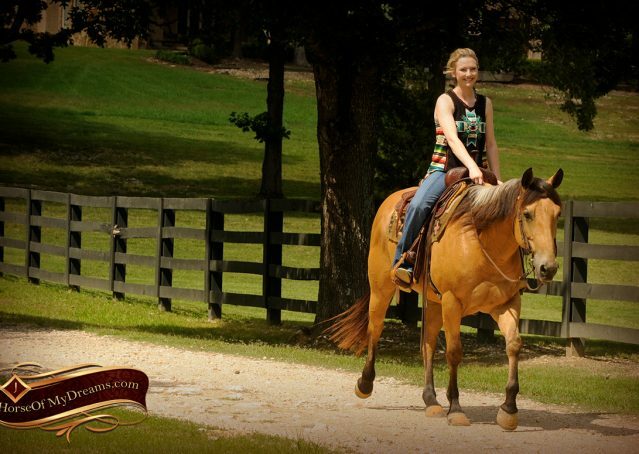 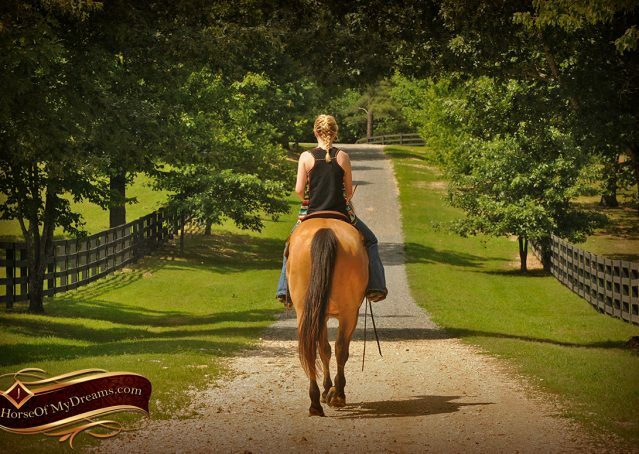 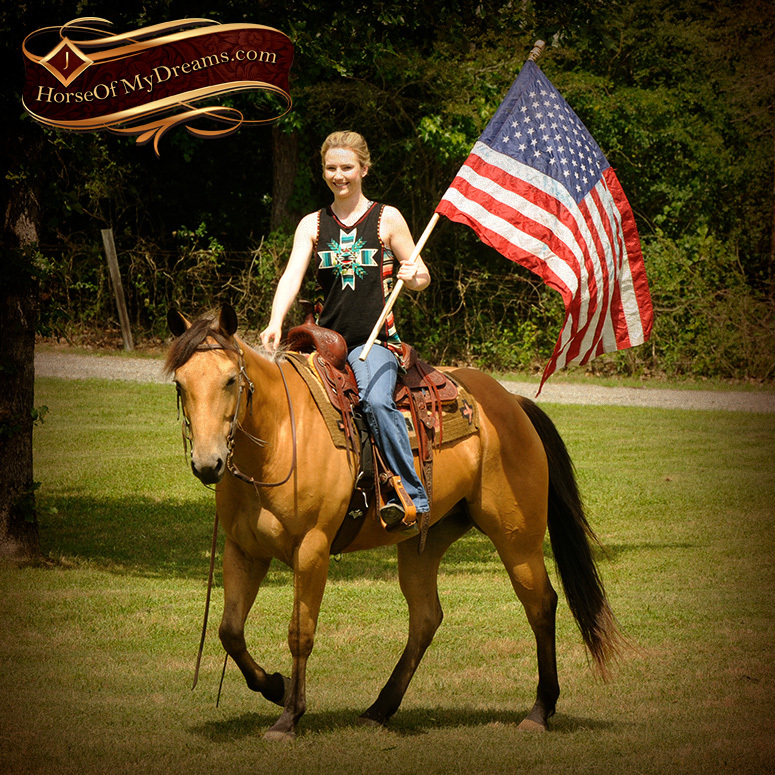 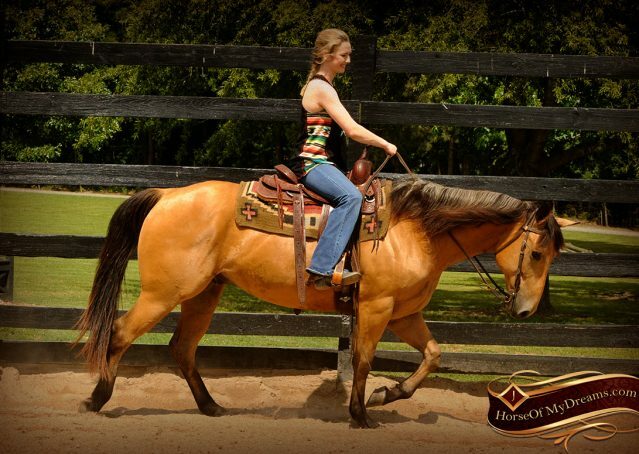 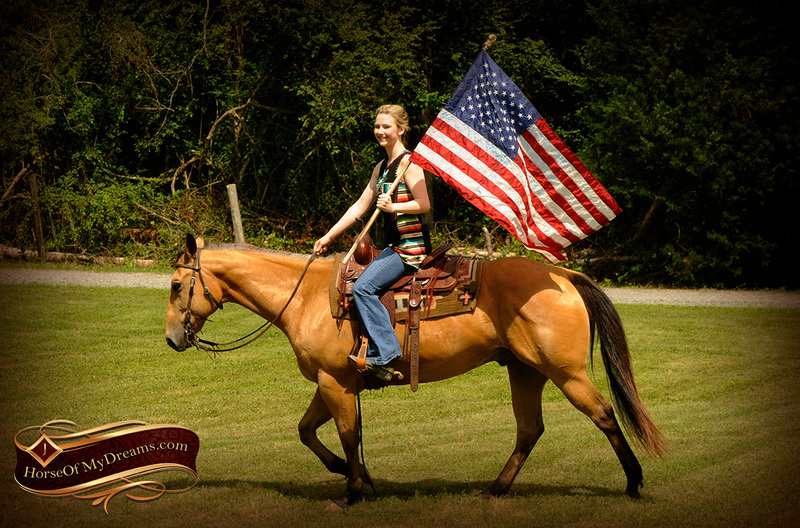 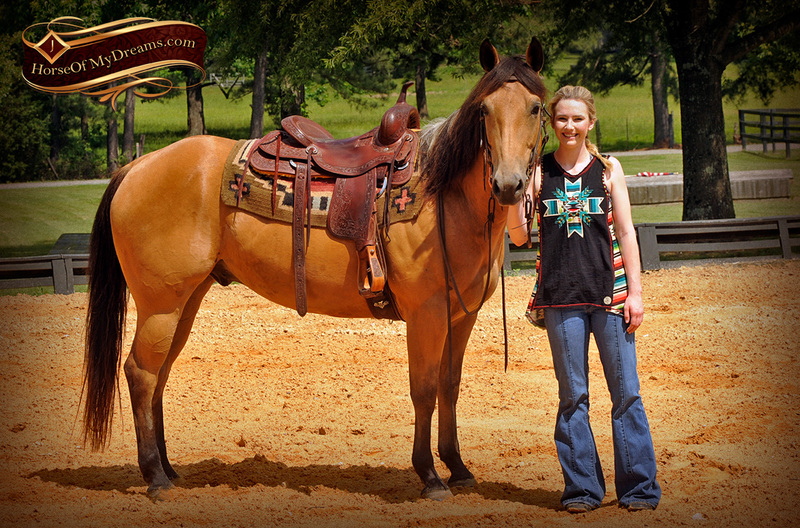 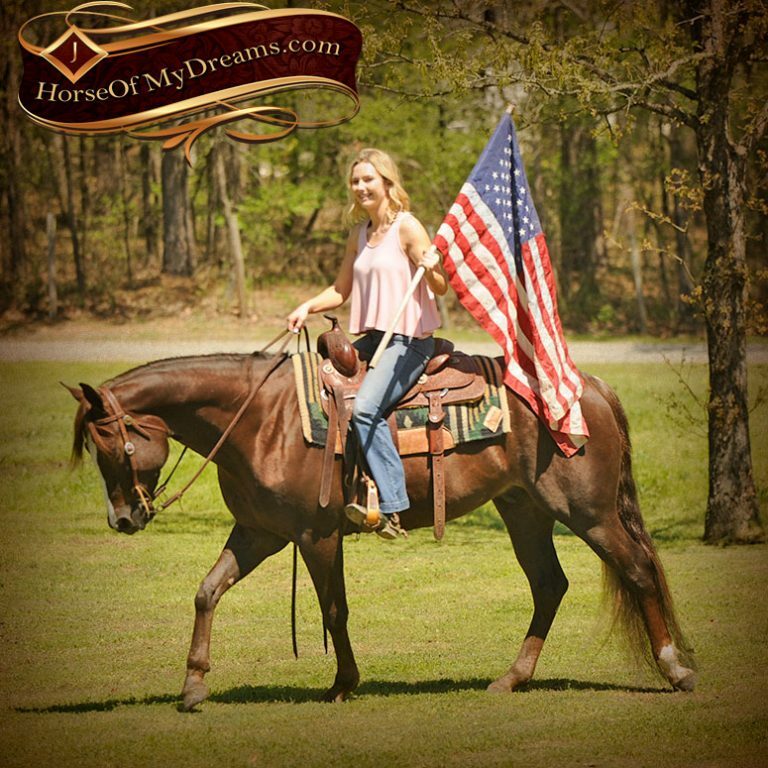 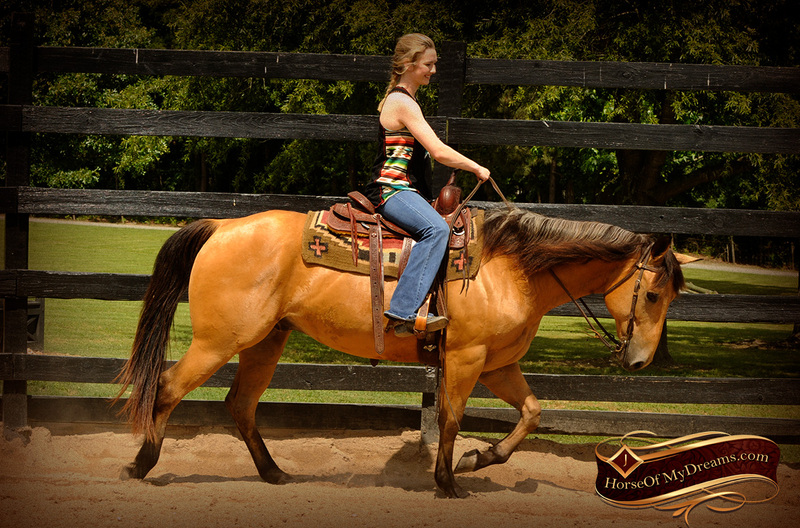 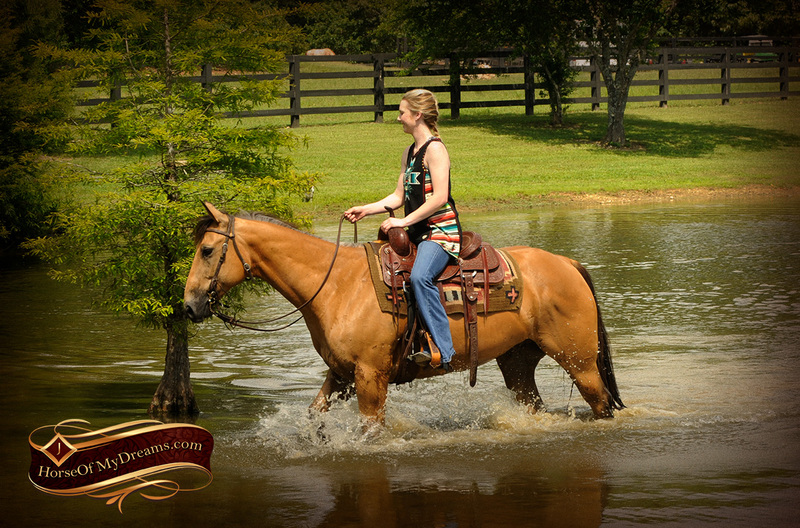 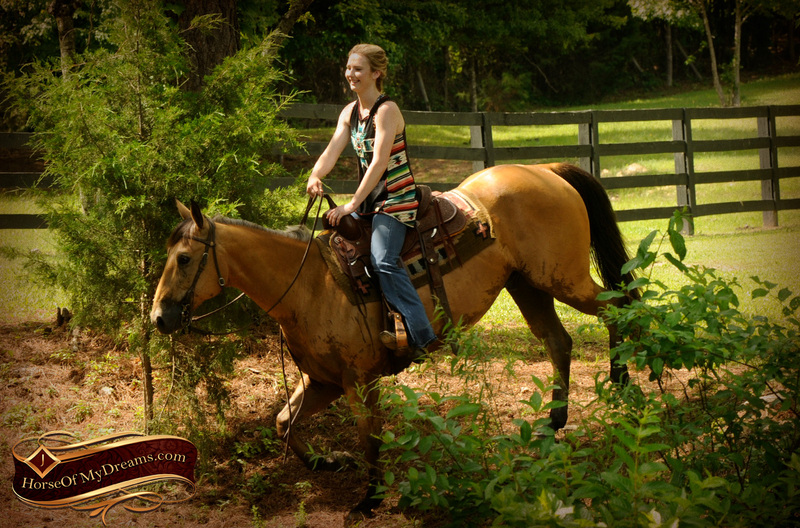 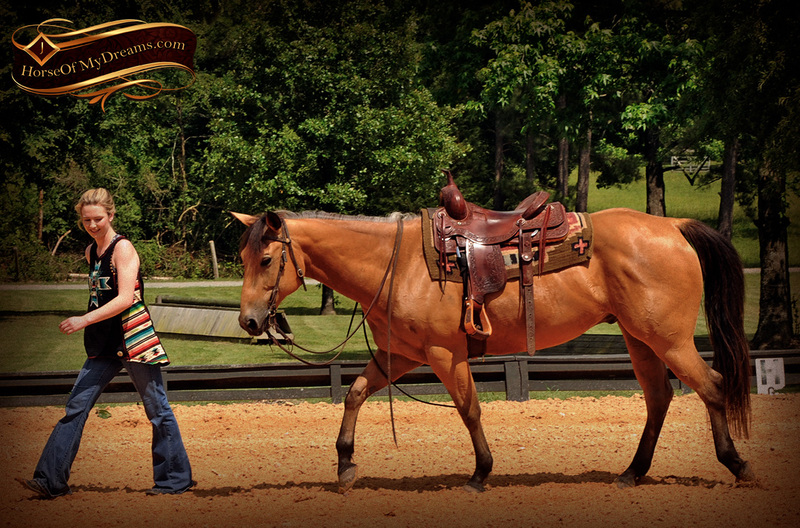 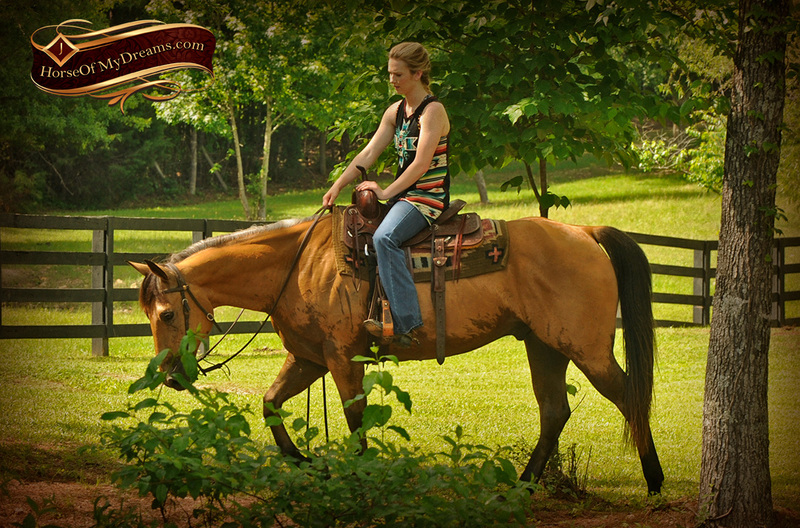 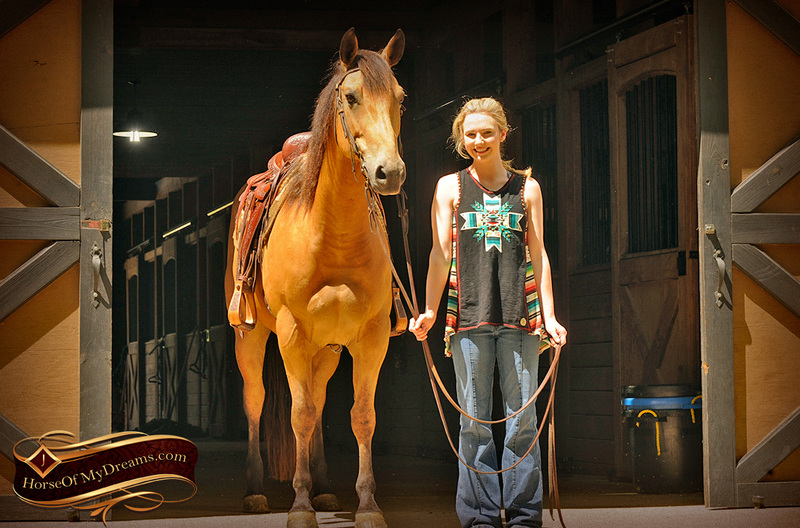 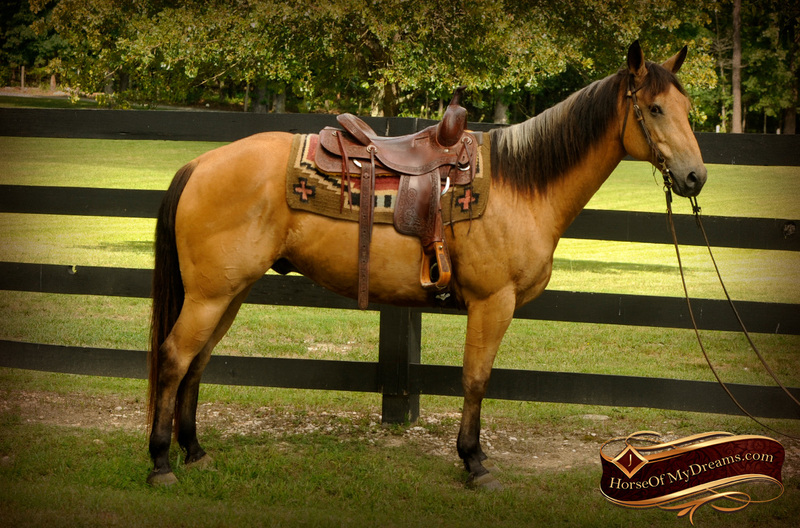 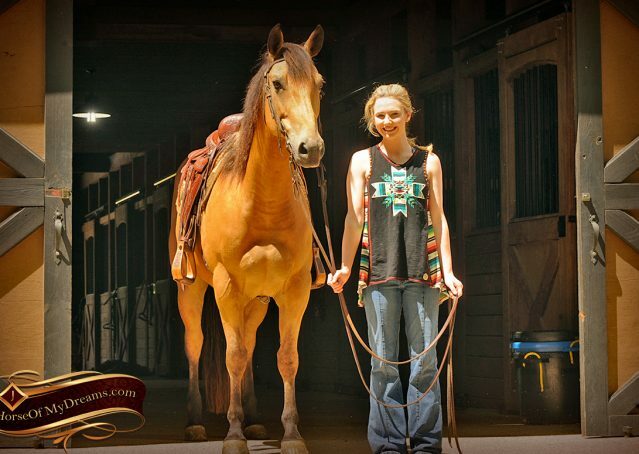 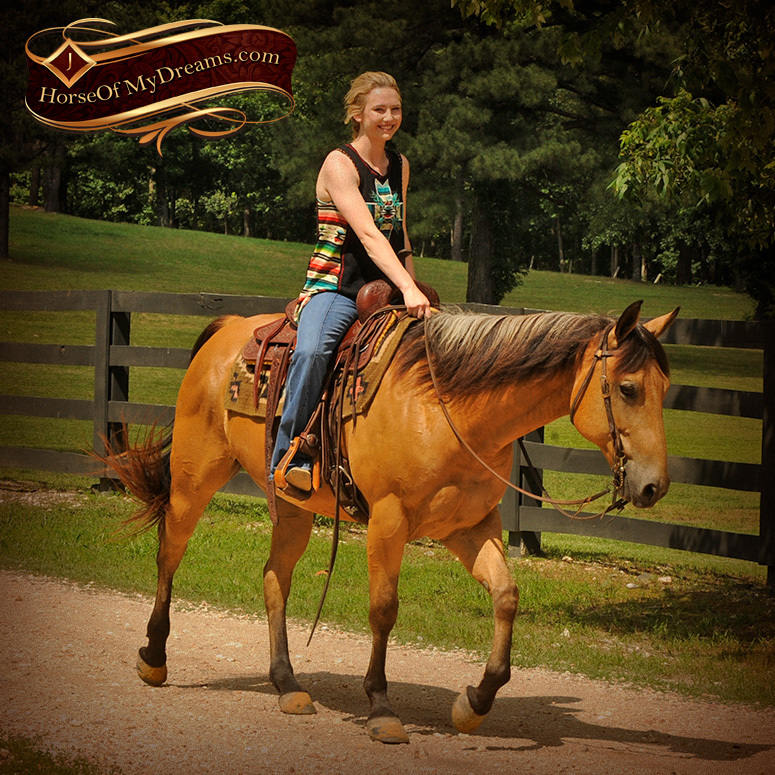 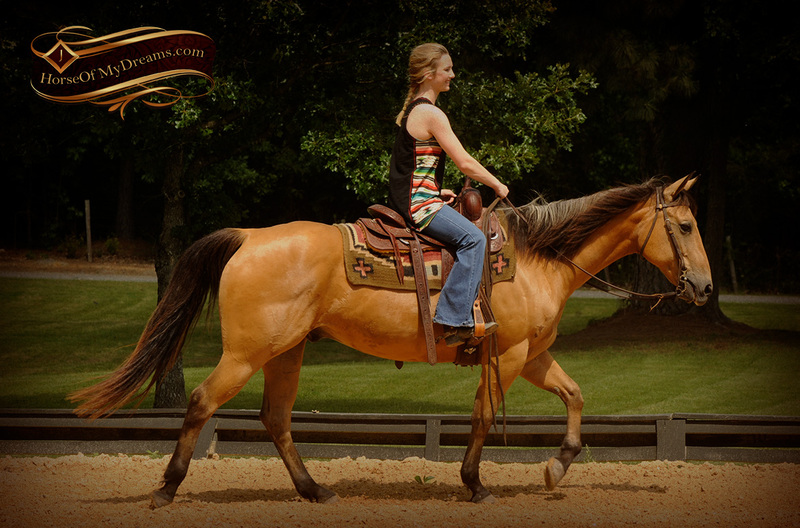 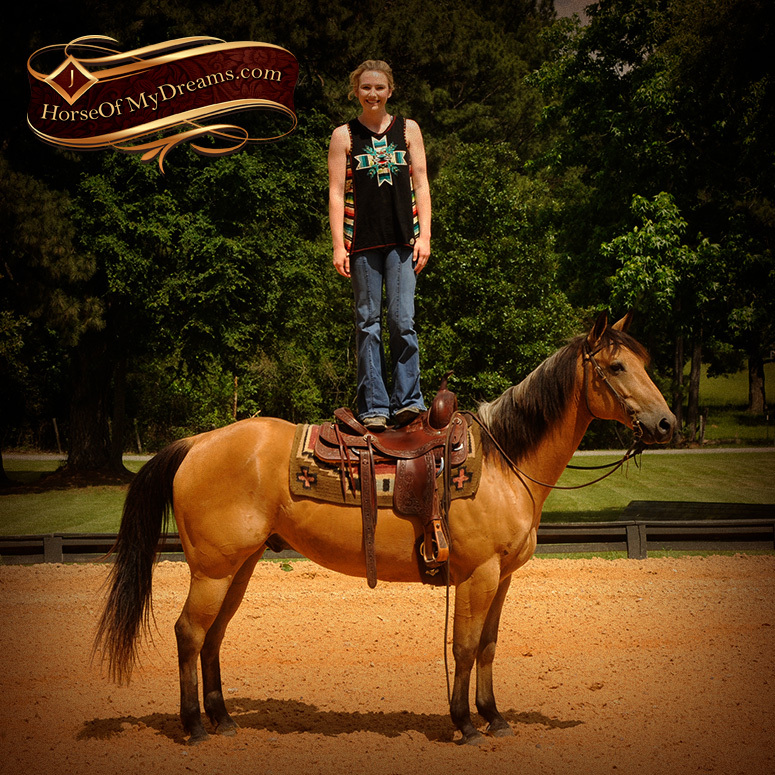 He is easy and uncomplicated to ride with a great one hand neck rein and flying lead changes. 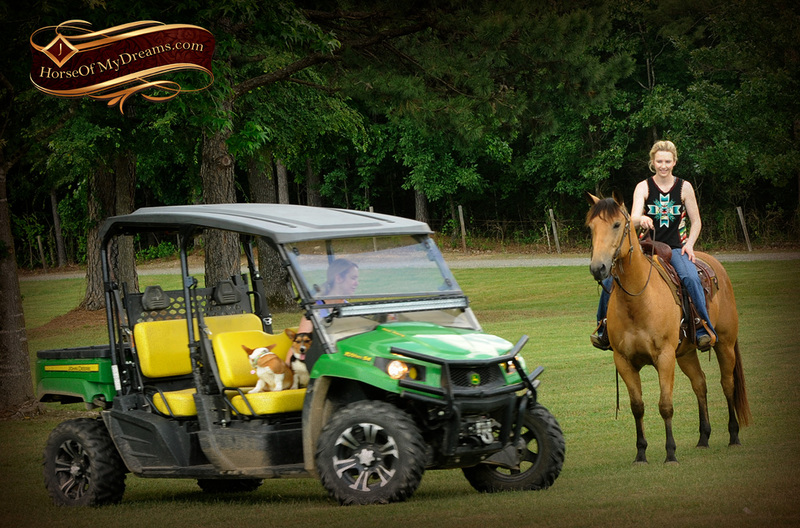 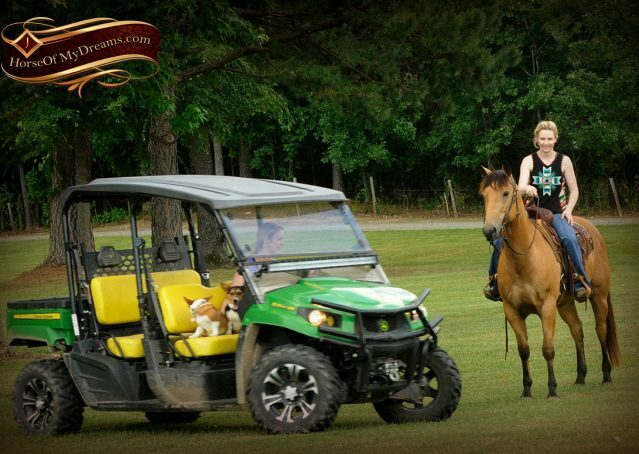 Bert is a pro and feels right at home out on the trails. 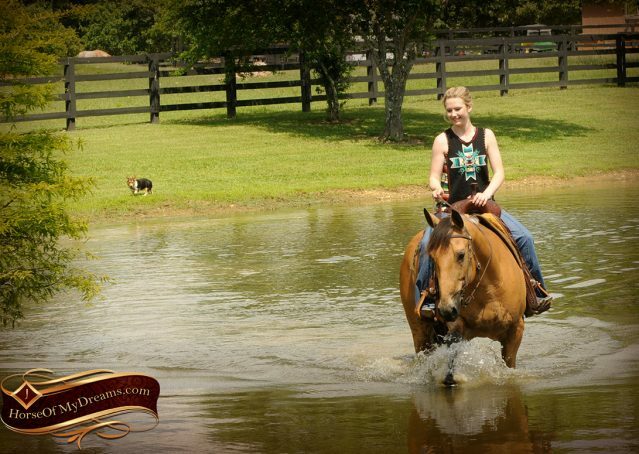 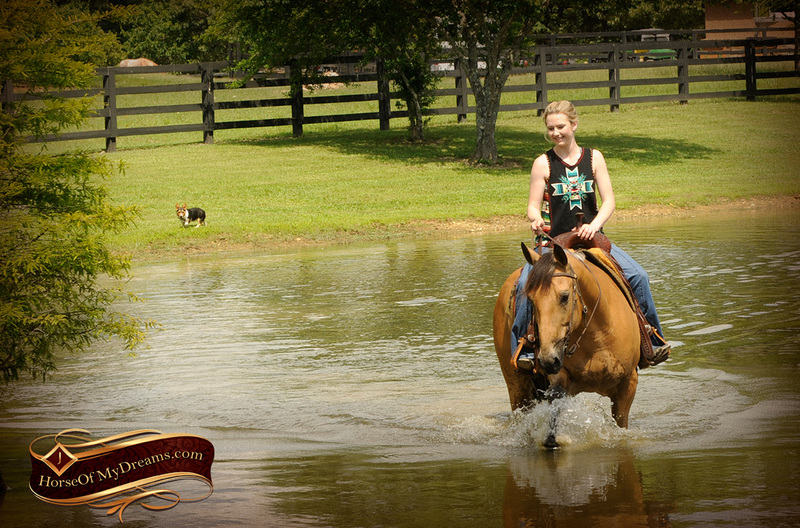 He goes right through the water and through the ditches. 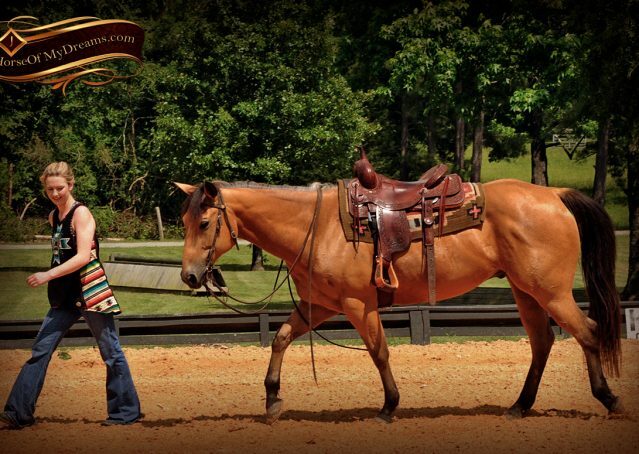 He really takes care of his rider. 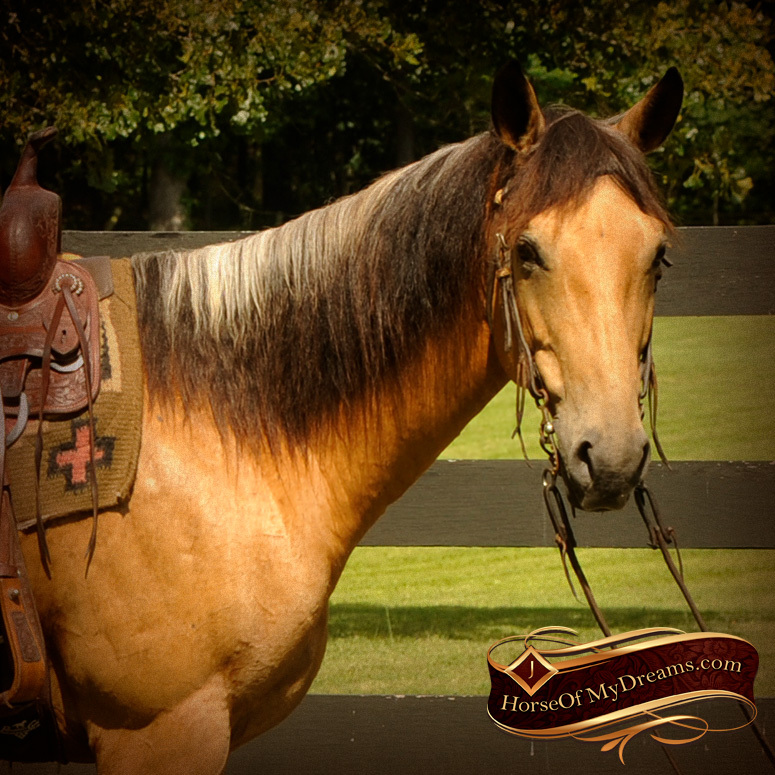 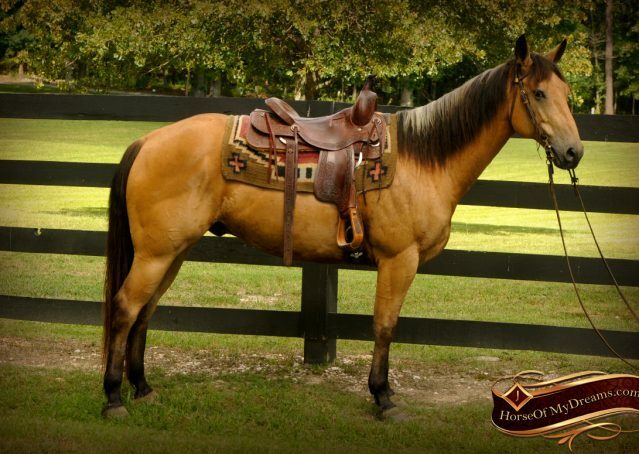 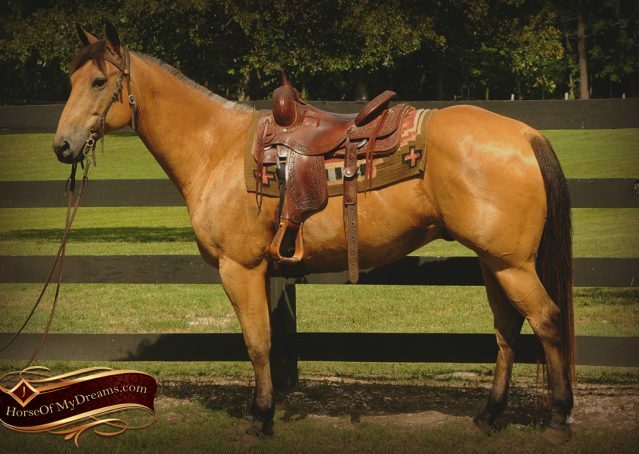 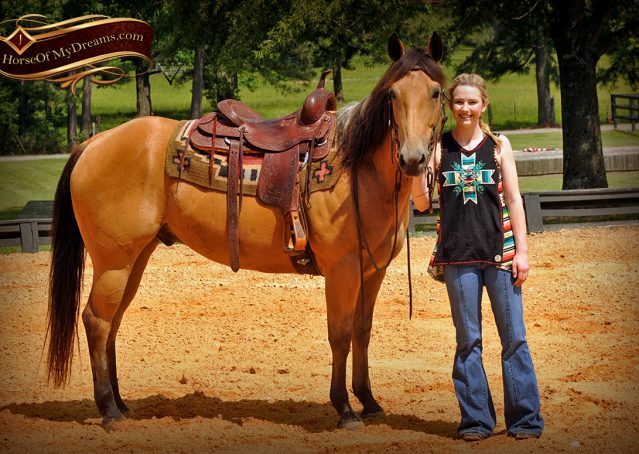 His beautiful buckskin color is icing on the cake!